Kevin Hamilton and I spent recently attended what, for me, is the most weighty academic conference I’ve had the privilege to attend. 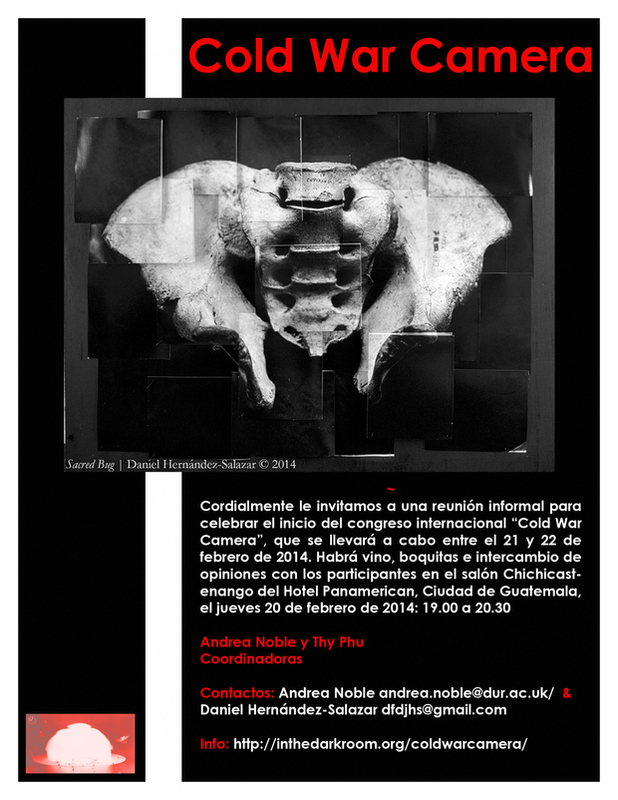 The Cold War Camera Conference was held in Guatemala the next-to-last week of February 2014. Convened by the University of Durham’s Andrea Noble, the University of Toronto’s Thy Phu, and the Guatemalan photographer, journalist, and activist Daniel Hernandez-Salazar, the gathering began, remarkably, with a day-long “tour” (an inappropriate word for what took place) of several sites in Guatemala City that have been central in the forensic reconstruction of the history of massacres and “dissapearances” that took the lives of hundreds of thousands of Guatemalans during a 36-year conflict spanning the decades of the cold war. We spent time with the people of The Museum of Martyrs from the Popular, Student and Union Movement, The DNA Laboratoty of the Guatemalan Forensic Foundation, The Bone Laboratory of the FAFG, The Guatemala National Police Historical Archive, and The Catholic Church Human Rights Bureau, talking with them about their faithful forensic work. The people of these places have worked, some for nearly two decades, under less than hospitable conditions to piece together–through forensic archival work, forensic anthropology, DNA analysis, legal documentation, or memorialization–the killing history that many in Guatemala do not want to remember, and that the rest of world, especially Americans, has never known to remember. The conference then moved to Antigua, where we heard two days worth of outstanding papers. Each paper was rich in its own terms, but each gained a more saturated hue against the backdrop of our time in the places of forensic recuperation and memory production. Kudos to Andrea, Thy, and Daniel for such an outstanding event.